This issue is close to our hearts. TLJ grew up in Hyderabad, but neither of us lives there anymore. The city is home regardless of how often or not we return to it. But when Hyderabad comes back to us in doses, in different ways and on different platforms, we keep it as close to us as we can. One such example is the work of TheHyderabadiBoy, Yunus Lasania. We recently threw a bunch of our questions at him, and between a full-time job and the guided heritage walks he leads over weekends, he answered them patiently. 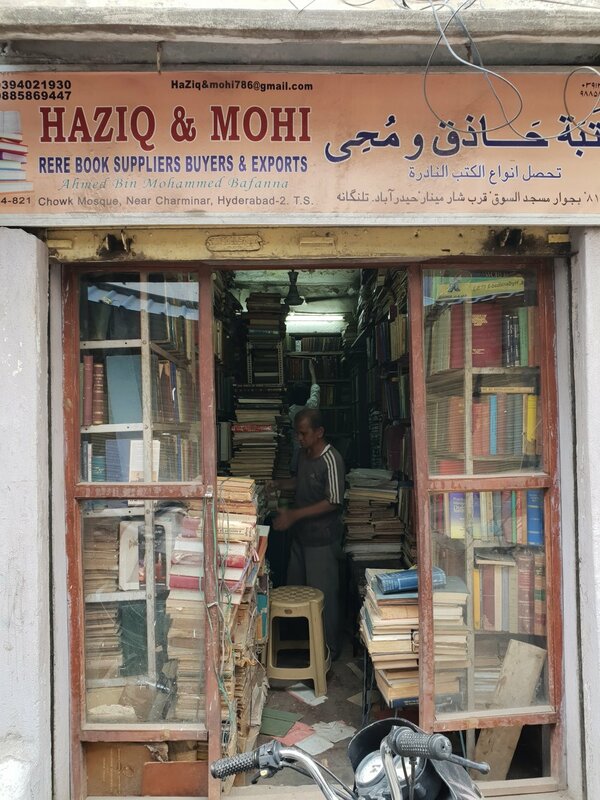 On the left is a view of one of Charminar’s minarets from it’s second floor and on the right is a picture from Haziq and Mohi, a store that sells rare books in Hyderabad. TLJ: Why and when did you start the Hyderabad History Project? Yunus: I was with The Hindu in Hyderabad between November 2013 and April 2017, and Serish Nanishetti was my boss towards the end. Under him I started writing about heritage and history of the city, and began to understand the problems it was facing over all. So I was always looking for something along those lines — perhaps write about a monument to save it. But the thing is newspapers, while having some impact, are only effective to a certain extent in this regard, and articles once written are lost or scattered. I had written a long story for The Hindu's Sunday edition in February 2017, which marked 50 years since the death of the last Nizam, Osman Ali Khan. I met a few people who worked for Khan and knew him personally. I realised that there are so many such stories of literally everything about the city and its people about which we don't know. Between us, Serish and I would always say "we need to do something". So one fine day I just started The Hyderabad History Project as a blog, and the Instagram account came later. So that’s how it all happened — with Serish's guidance. Can you recall say the three most interesting people you’ve met while working on the project. MK Moinuddin is definitely my most favourite. He is 90, and was part of the Communist Party of India in 1948 during Operation Polo (police action by the then newly formed Indian Government, through which the erstwhile Hyderabad state was annexed to India). He even went underground with the revolutionary poet Makhdoom Mohiuddin. The man's memory is razor-sharp, and he has seen different epochs of Hyderabad. 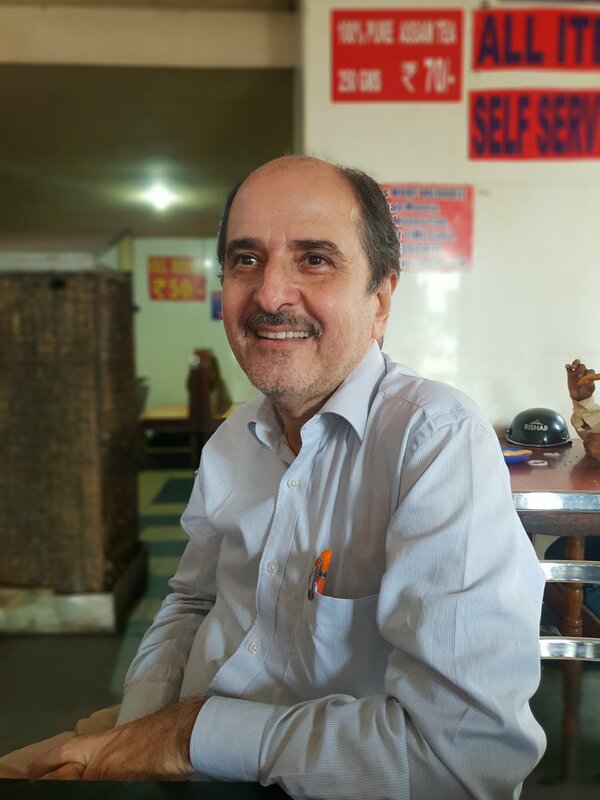 Mohammed Hussain Yawari, who owns the New Grand cafe (Irani cafe) at Afzalgunj. It was started in the early 1950s. The man is lovely to talk to, and is very knowledgeable. He has amazing stories to share from the cafe and his life. Mohd. Farookh Jaleel Rooz, is also the owner of an Irani cafe. In this case, his cafe/restaurant is the oldest one in the city, started in 1935. Amazing person, who's always ready to come meet people during my heritage walks. 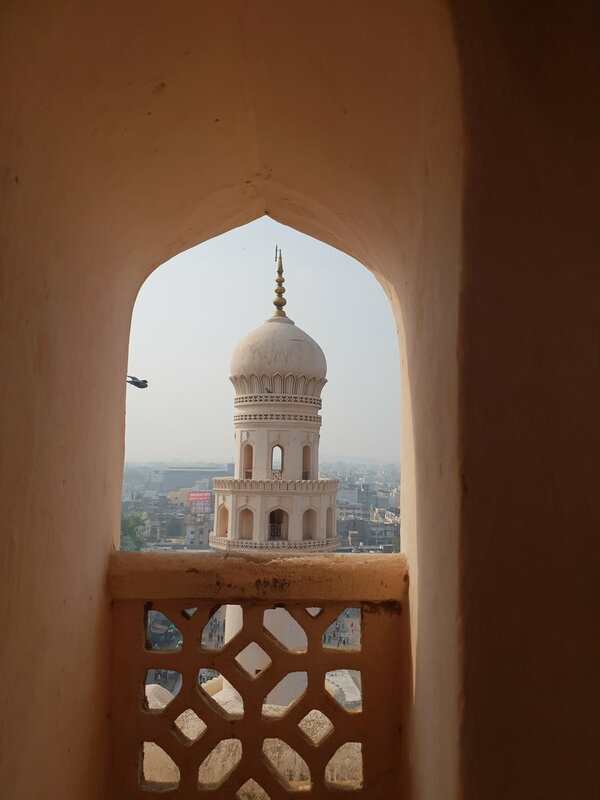 Can you talk about a few things that you’ve discovered about Hyderabad, which you think might surprise even a born-and-brought-up Hyderabadi? 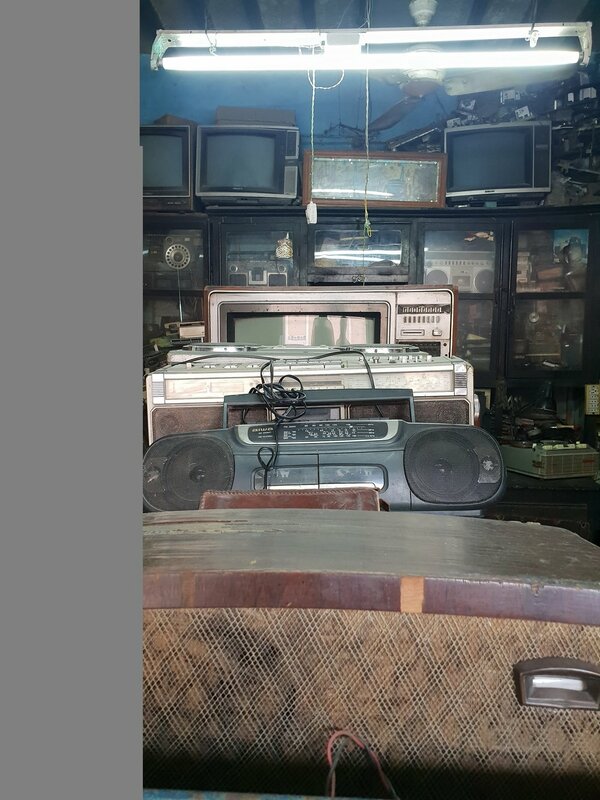 The Mahbub Radio service; the current shop was set up in 1948, but it used to function from even earlier than that. What bits of Hyderabad’s history are still relevant and are part of Hyderabad’s living culture today? The Moula Ali shrine is another relevant example, I think. 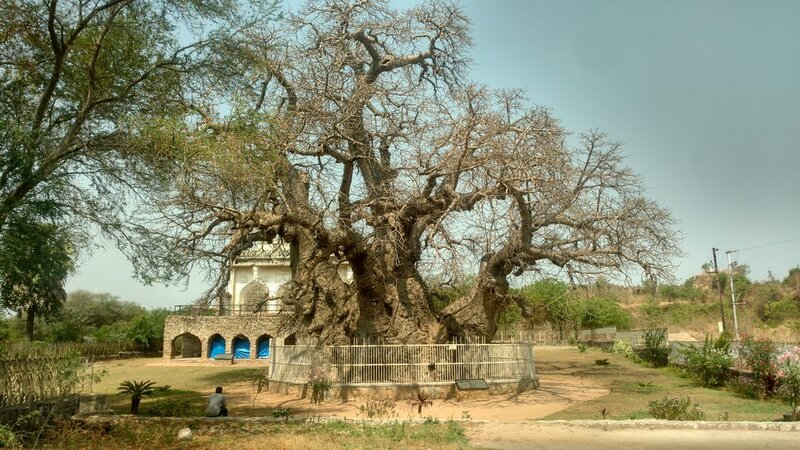 The story goes that Mallik Yakut, an African (Habshi), working under Ibrahim Qutb Shah, was living near Lalaguda. He apparently was sick and dreamt that he was led to the top of the hill were he saw Imam Ali sitting with his hand resting on a stone. Story goes that Yakut woke up, went to the top and found the hand print of Imam Ali on the stone, which he later cut out and enshrined. This happened between 1550 and 1580, and people still go there. Hyderabadi biryani, Osmania biscuit, and Irani chai are all obviously very well know. Do you know of any less popular food here that ought to be mentioned? I have to mention the biryani at Grand Hotel, the oldest Irani outlet (started in 1935). It definitely lives up to its name, is reasonably priced and they serve a very consistent biryani. Kheema-roti and Khichdi-khatta are two breakfast dishes that are absolutely amazing and relatively unknown. Most Irani cafes still sell one of the two daily. Grand Hotel and Alpha Hotel serve the best kheema for breakfast. Marag, is a spicy mutton soup or broth. You won't find it in most hotels, but Hotel Sohail makes it well, and the high-end Zaiqa-e-Hyderabad in Banjara Hills also serves it. Then there are also other dishes like Pathar ka Gosht, Tala hua Gosht and Khatti Daal-Bagara Chawal (rice) which you find here and there. Your top five Hyderabadi words. What are the best places to catch a good sunset and sunrise view in the city? I have found Tank Bund/NTR road to be good spots to watch the sunrise. For the sunset, I prefer the Naya Qila and the Qutb Shahi tombs. Both are great places to be at in the evening. Yunus Lasania is a journalist by profession and a pucca Hyderabadi. 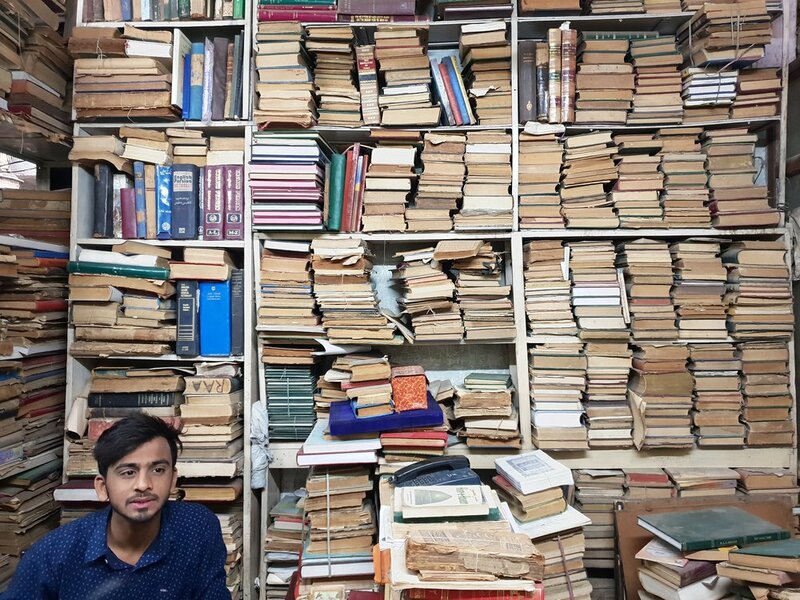 He spends most of his free time drinking Irani chai and archiving Hyderabad.